Below are some of the most useful articles mainly from our blog that may be of interest to you. Towards the bottom of the page are product videos, installation guides and then followed by customer video reviews. Information on our log cabins and useful advice. How to get a really cheap log cabin - Do you want one? Why are floors an option? 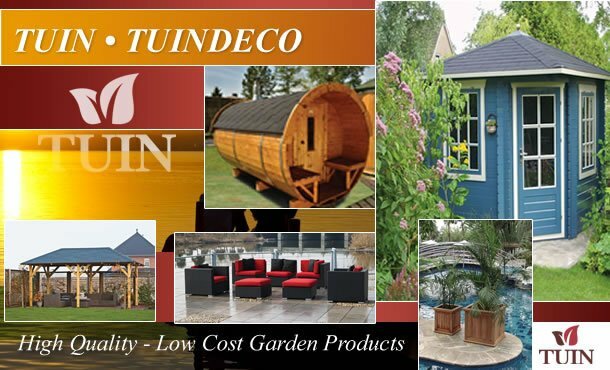 How your log cabin is delivered by Tuin - Find out what others do! The corner connection found in a log cabin - important! Is pressure treatment of a log cabin necessary? Do you need planning permission for your log cabin? Do you REALLY need double glazing in your log cabin? Who builds your log cabin? What does a log cabin look like inside? Installation - Online detailed Manual a must read ! Why timber posts crack and split - please understand this article which is applicable to ANY timber product. DO NOT buy a timber product if splits or cracks is an issue for you without understanding the properties and characteristics of wood. For urgent out of hours installation advice PLEASE EMAIL: outofhours@tuin.co.uk this is manned by experienced staff on their days off but are happy to help.